This brings back such great memories of watching MST3K. One of my top 5 favorite shows of all-time. Ricky Gervais' new film "The Invention of Lying"
Looking forward to this new movie from Ricky Gervais. If you've never listened to any of the Ricky Gervais podcasts/audiobooks, I'd highly recommended you buy all of them right now. This is either the best or the worst thing I've ever seen. 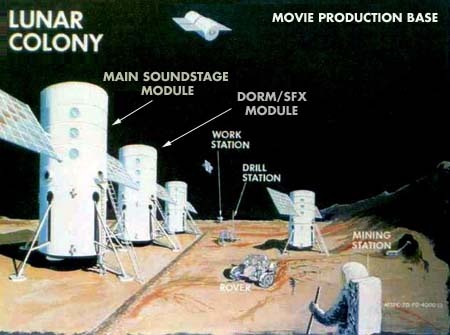 I love this idea of faking the moon landing by sending the entire production to the moon.